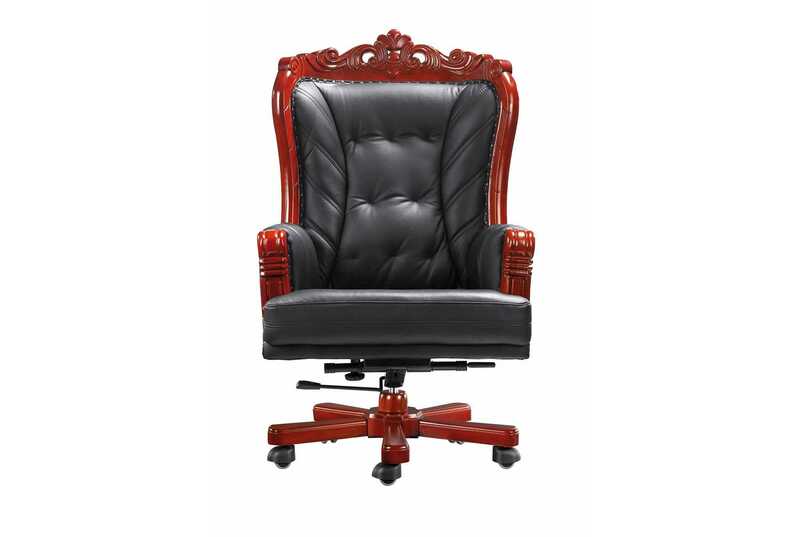 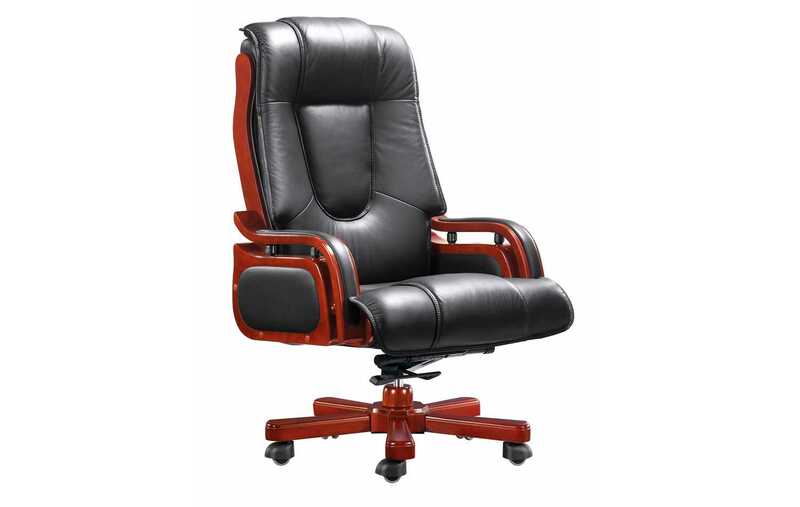 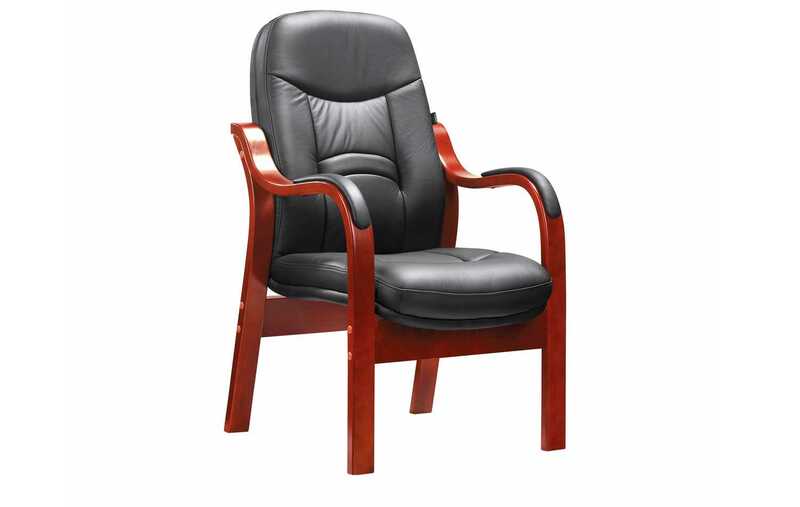 This executive high back chair is made with an embroided genuine black leather upper with and scratch protected industrial leather for the back. 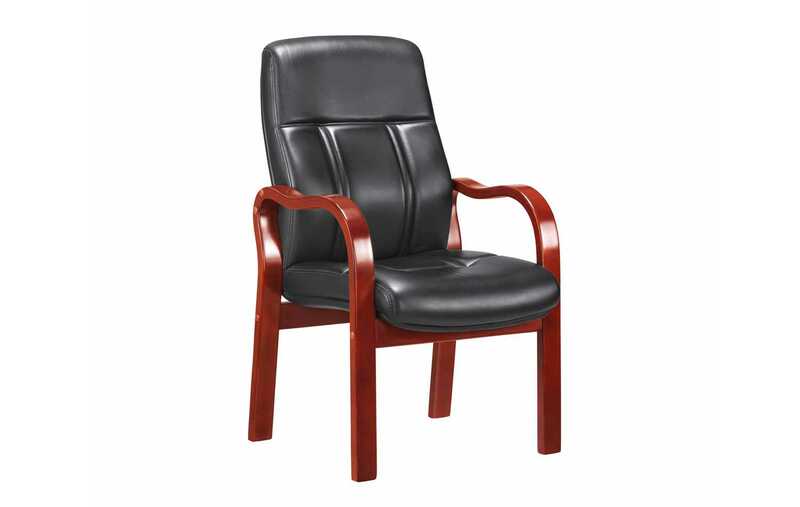 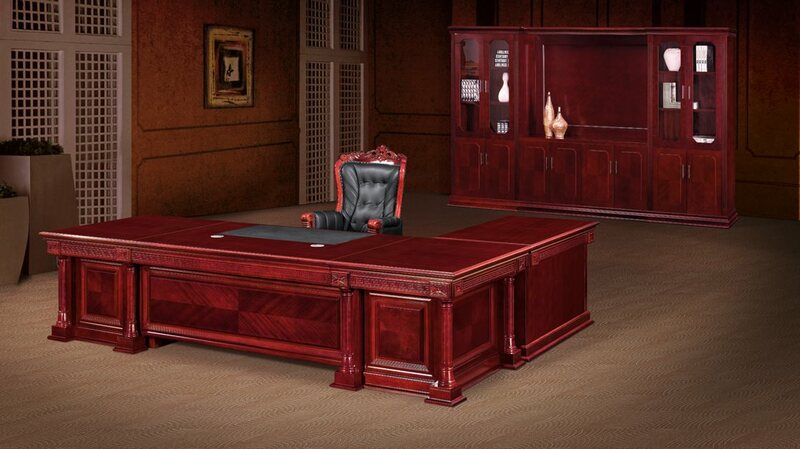 It has a leather upholstered armrest and a decorative Solid mahogany frame. 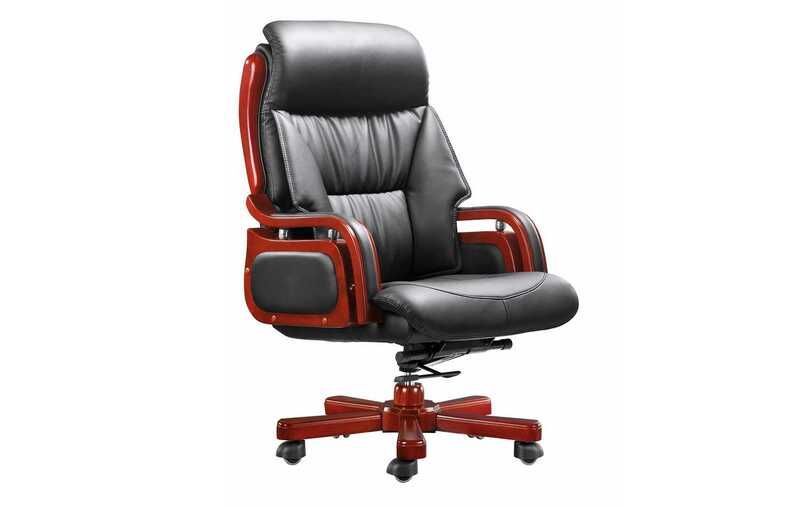 It has a mahogany wooden five star base with a swivel and tilt mechanism and noise protected wheels.